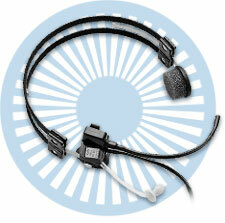 The clear choice in light weight commercial aviation headsets. Chances are, if you’re a commercial pilot, you often wear a Plantronics headset when you fly. That's because Plantronics has been supplying headsets to pilots for more than 40 years.In fact, Plantronics was the first to introduce a lightweight commercial aviation headset back in 1962. Known for superior sound quality and lightweight designs, a Plantronics headset offers quality you can trust—a fact born out of the FAA's selection of Plantronics as their sole supplier of headsets for air traffic control. Panasonics' latest design MS260 offer the same signature sound quality, reliability and durability you’ve come to expect from Plantronics. Panasonics' line of FAA-approved headsets comes in a variety of wearing styles and incorporates the latest technology and lightweight comfort. 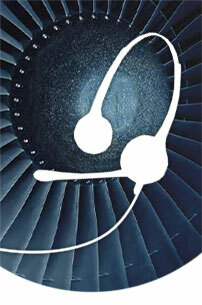 You’ve counted on Plantronics aviation headsets in the past. From aerospace to aviation:a heritage of communication. In the early sixties, aviation headsets were so heavy that they were literally a pain in the neck for pilots. For Plantronics, this was an opportunity to create lightweight headsets that revolutionized the industry. For more than 40 years, the MS50, with its superior design, has been a standard in aviation headsets. Over the years, variations of the MS50 have been used for many other applications, including the first words from the moon, "That’s one small step for man, one giant leap for mankind." Following in Plantronics' commitment to innovation, the MS50 has been joined by additional lightweight headset MS260 — creating a superior line of aviation headsets. Plantronics headsets: superior sound, superior comfort. As a leading manufacturer of lightweight headsets, we strive to set the highest standards of quality and design. Plantronics use premium components in our speakers and noise-canceling microphones to provide the clearest conversations between pilot and air traffic control. But there's more to a Plantronics headset than superior sound quality. We design each headset to be as lightweight and as comfortable as possible for all-day use, every day. When communication is critical, you can rely on a Plantronics headset. Not only is Plantronics the FAA’s sole supplier of air traffic control headsets, but tvheir Specials group also provides headsets for dozens of other mission-critical applications. 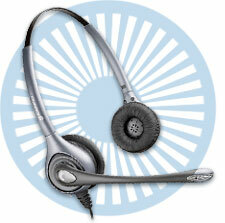 Plantronics headsets have been used by NASA, the armed forces, government departments and emergency dispatch services. Needless to say, Plantronics design headsets for day-to-day wear in demanding environments and this expertise is used to ensure that every product Plantronics build meets the highest standards of quality and reliability. Commercial Aviation Headset is a single plug version of the popular MS50 that's used by commercial airline pilots all over the world. The headset is lightweight and comfortable so it's easy to wear even on long flights. Wear it with the included headband or mount it on an after-market custom molded ear piece that eliminates the need to wear the headband. Easy-to-use, hands-free communications let you keep your hands on the yoke. Crisp, clear sound. Plantronics delivers greater clarity for in-flight communications. Lightweight and comfortable, easy to wear, even for hours at a time. Acoustic voice tube provides excellent transmission clarity. MS260 Aviation Headset is a commercial aviation headset leverages a proven design to provide unparalleled comfort and reliability for pilots. The product uses an over-the-head design to offer a stable fit for extended wear. It uses a binaural design for maximum audio clarity. It includes a noise-canceling microphone for excellent transmission clarity and is available in single or twin ear models. Over-the-head design delivers all-day wearing comfort. Choose from monaural (MS250) or binaural (MS260) designs. Improved reception through greater noise occlusion (MS260).